Dancing in Scotland has been serving the dancing community since I bought my first computer. 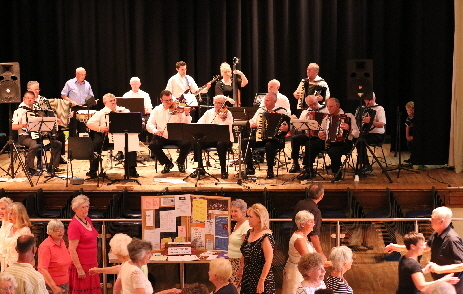 Whether you are looking for Ceilidh, Old Time or Scottish Country dances, you should find what you need on these pages. This site is maintained by Alasdair Graham to keep a group of dancing friends in the West Central area of Scotland up to date with news of where dances are being held and which bands are playing. Information is obtained from adverts, word-of-mouth and local knowledge. No liability can be accepted if a dance is cancelled or if the information turns out to be incorrect. If you intend travelling to a venue then the onus is on you to check with the organisers beforehand that the event is as shown and that you can be admitted. Where possible a contact telephone number is shown. Do check whether the event is suitable for your level of skill and/or style of dancing. It is also worth remembering that many venues are small village halls with limited capacity and where indicated you must book in advance.